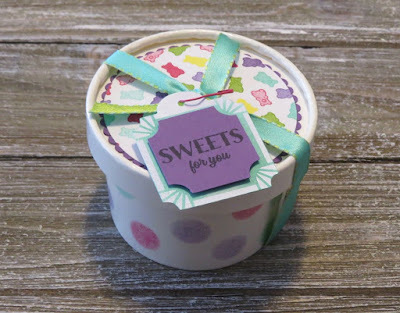 Stampin'Up has a really fun product suite called How Sweet It Is! 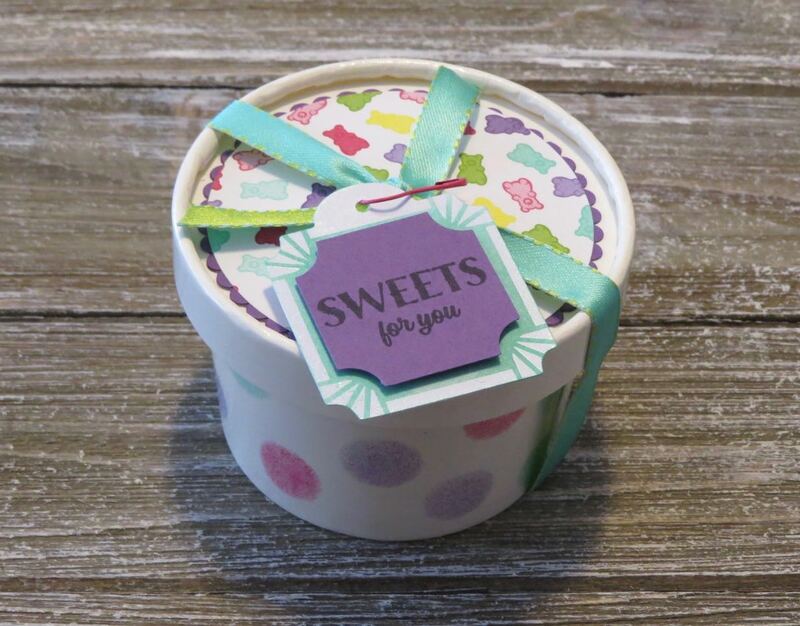 There is coordinating designer series paper, ribbon, sweet pin and tags, sweet cups and a sweetest thing stamp set. This suite is perfect for all your party needs. 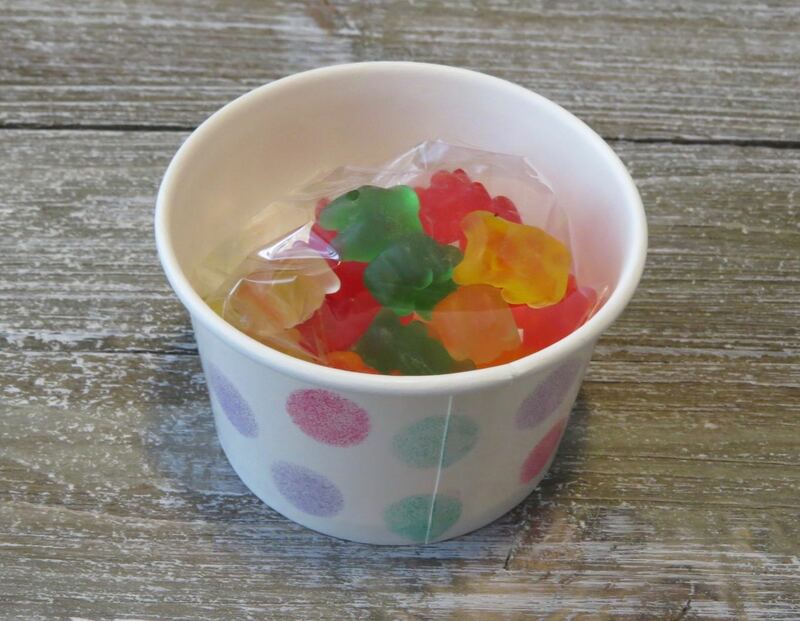 I decorated the Sweet cup with Sponge daubers and Gorgeous Grape, Costal Cabana and Melon Mambo ink. The tags is made with the sweet pins and tags. I sponged the tag with Costal Cabana ink. The greeting was stamp on Gorgeous Grape card stock and punch out with the punch from the Darling Label Punch Box.